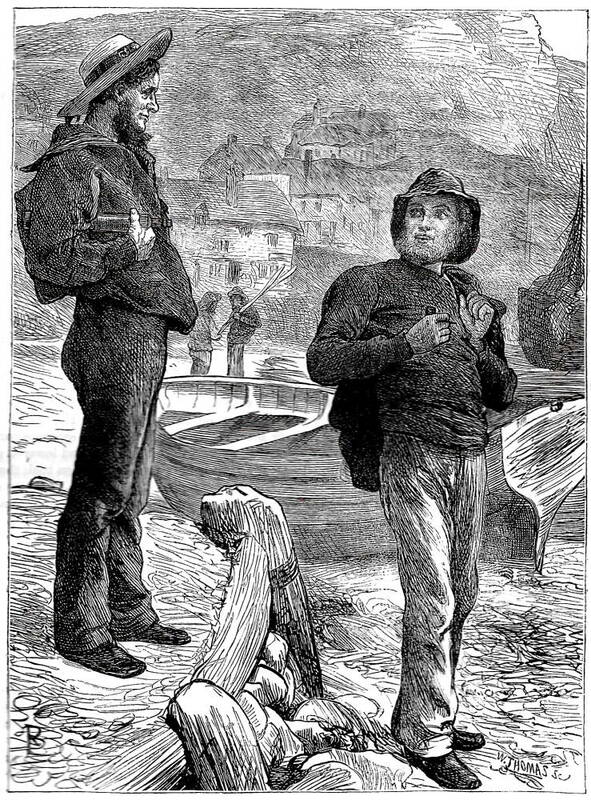 Illustration for The Quiver, 1869, p.377. Born into poverty – the son of a shoe-maker and an illiterate mother who signed his birth certificate with ‘her mark’ – Barnes saw the working class life from within, and was able to visualise the qualities of those afflicted by disadvantage. Interestingly, his life was one of self-improvement; he started at the bottom and ended as a respectable bourgeois. The Quiver. London: Cassell, Petter, and Galpin, 1869.